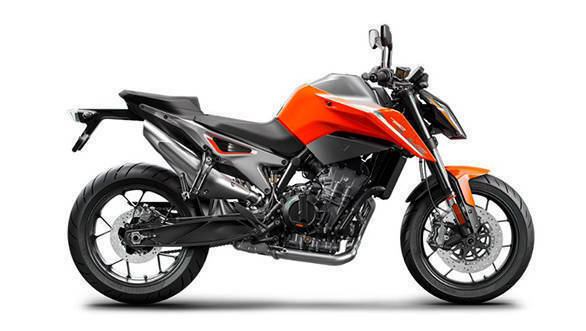 KTM 790 Duke is expected to be launched in India by the first week of April 2019. That said, the street naked motorcycle has already debuted in the international markets. Internationally, Along with the motorcycle, KTM is offering its customers a list of optional accessories to make the motorcycling experience easy. The optional accessories also cater to them who put functionality over form and for the customers who want to extract little more oomph quotient from their motorcycles. As the name suggests, the KTM Power Parts which mainly enhances performance is the Akrapovic slip-on exhaust which is made from high-grade titanium that helps reduce the kerb weight. Along with the exhaust, the customers have an option to buy KTM My Ride controller unit. 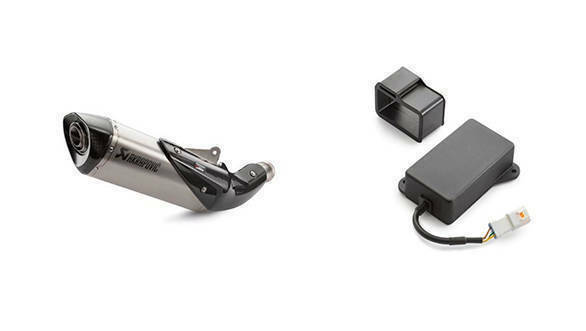 Which is essentially a device which lets the rider tether his/her smartphone to the motorcycle via Bluetooth. This gives the rider control over incoming calls and audio player via mode switch. The information pops on the motorcycle's TFT display and does not distract the rider. 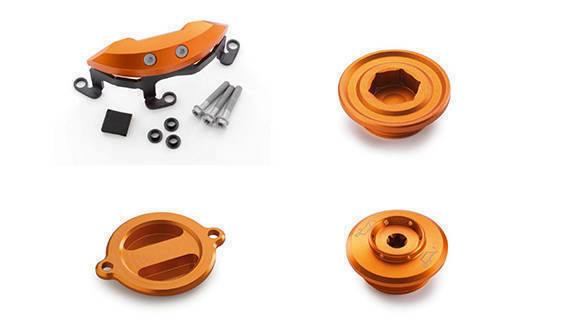 To improve the aesthetics of the motorcycle, KTM offers aluminium CNC machined parts such as the oil plug, oil filter cover, ignition cover plug. The company also provides an optional ignition cover protector. As mentioned earlier, KTM is offering ergonomic seats both for the rider and the pillion for comfort. Seat height can be lowered up to 25mm with the lowering kit which will offer an effortless motorcycling experience for shorter riders. 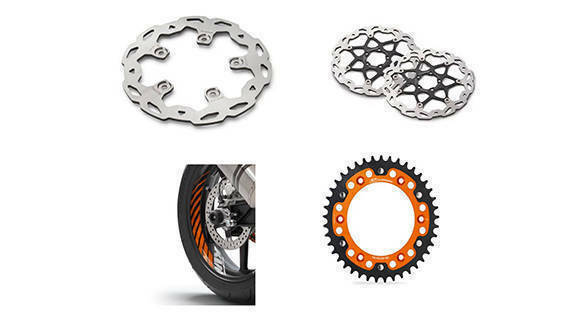 KTM offers aftermarket cycle parts such as the wave-disc brake as a replacement from the front and the rear disc brakes. A lightweight aluminium rear sprocket is on offer to reduce the unsprung mass. For cosmetics, the company is offering a graphic kit for the alloy wheels. KTM also offers an adjustable brake lever that replaces the stock brake lever. 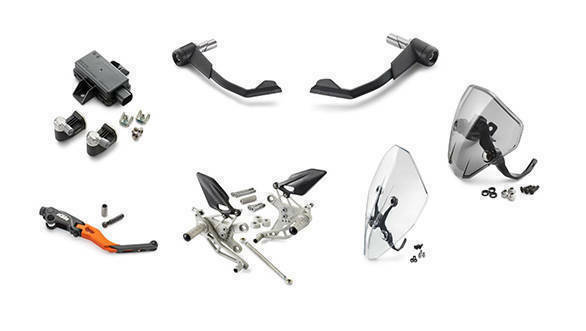 Additionally, the is also an option for brake and clutch lever protectors along with flyscreens. Rearer set foot pegs are on offer and the company provides an optional tyre pressure monitor as well. 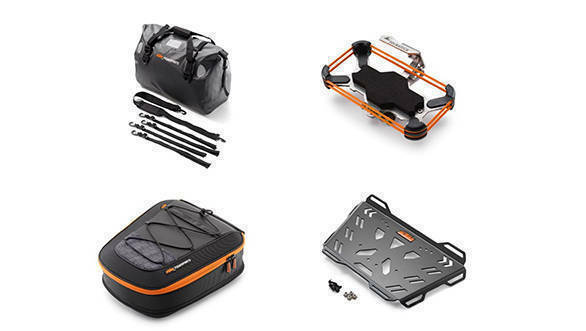 For the touring enthusiast, the company offers a baggage carrier which can be bolted on the tail section of the motorcycle, along with a KTM branded duffle and a tail bag. KTM also offers a mobile holder which can be mounted on the handlebar for navigation purpose. 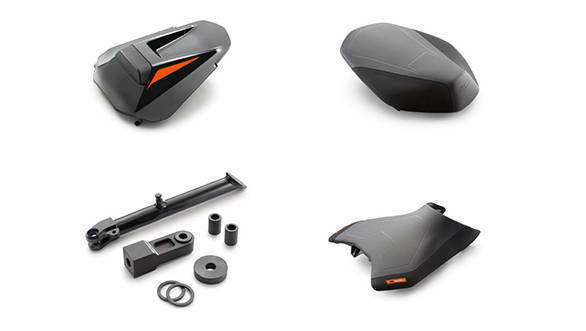 These parts are offered in the international markets, however, with the soon expected launch of the KTM 790 Duke, we would like to see the above-mentioned Power Parts and accessories on-sale alongside the 'Scalpel' (KTM 790 Duke) in India.